A Gulf-wide initiative examining the impact of office design and configuration on business productivity. How does a regulatory framework enhance investor confidence? What is the right balance of regulatory requirements to connect the goals of both regulator and investor? How can the private sector help to stimulate investor confidence and appetite? A clear regulatory framework is crucial to establish initial investor confidence and a consistent application/enforcement of regulations is critical to maintain this confidence.The objective of regulation should be targeted and effective to address market failure/inefficiencies, protect consumers and promote investor confidence. Active participation by local and regional investors may encourage international investors in a market but the private sector alone can rarely stimulate investor confidence. The absence of clear market regulation will lead to the market suffering long-term credibility issues. A transparent legal, financial, and entitlement framework is needed to provide relative comfort and confidence for investor entry and exit. The challenge lies in achieving the right balance between a Government-led regulatory framework and industry/self-regulation to balance the goals and objectives of both regulator and investor. Why is regulation of real estate markets needed? Effective regulation increases consumer protection without placing unnecessary burdens on the market, businesses and/or their clients. Consistent, proportionate and transparent application/enforcement of regulations is critical to maintain such confidence. 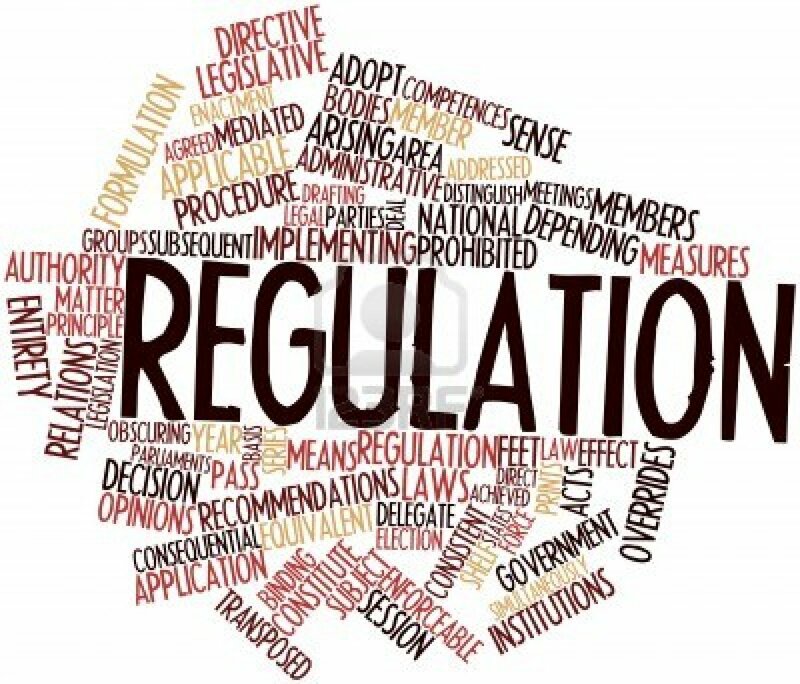 Who should regulate – Government or self/industry regulation? The legislative and regulatory framework should facilitate effective business practice with appropriate customer/consumer protection in a simple, non-bureaucratic way. However, Governments often find it difficult to do this in a way that reflects the nature of the market, rather than the structure of the Government departments. Difficulties arise due to a variety of factors including the nature of legislation arising over time, the structure and different policy priorities of Government departments, and limitations on business experience and expertise amongst Government staff. if the regulation and the enforcement framework are to be implemented in a fashion which is demonstrably proportionate, accountable, consistent, transparent and targeted. As businesses better understand the market in which they operate, perhaps it is better for Government to set a framework which establishes a level playing field for industry within which private sector self-regulation can best operate? How does professional/industry regulation operate? As an alternative to prescriptive Government regulation, self-regulation by industry/professional regulation can deliver benefits without the increased bureaucracy and burdens that can come from Government-imposed regulation. The private sector better understands and reflects the structure of the market and can focus on inefficiencies and poor standards, thus protecting the consumer, without the risk of unnecessary bureaucracy and/or unintended consequences. Self-regulation can have teeth when delivered by a professional body with an arms-length regulatory structure. Self-regulation is fundamental to any profession. In addition to technical expertise, in a professional body, ethical standards create the basis for sound regulation in the public interest. Professional ethics distinguish professionals from other practitioners, and provide confidence to clients and investors. The reputation of professionals and firms and the public interest are likely to be closely aligned. If/when informed, members of the public seek services from members of professional bodies/regulated firms because they know that they will receive good quality services, professional technical and ethical competence. This in turn will incentivise positive behaviour and consumer protection. Case Study: the RICS (Royal Institution of Chartered Surveyors) model – what does it regulate? This model provides quality assurance in a professional environment that will increase confidence of investors, clients and consumers. Regulation can be very costly to business, and the cost can easily be under-estimated, particularly by Government. The objective of regulation should be targeted and effective to address market failure/inefficiencies, protect consumers and promote investor confidence, combined with care to ensure that the scope of regulation is not cast too widely nor applied too bureaucratically. Over-regulation can make real estate professionals less rather than more competitive in the market place – and their clients/consumers will bear the cost in the long run. Self-regulation can get the balance right – to raise quality, protect clients and consumers while supporting economic growth by minimising burdens on business – because it is designed around the business and client need, not Government structures. A simple Government regulatory framework is needed to provide a level playing field field for industry within which private sector self-regulation can best operate rather than strict, central control that attempts to second guess how a market can or will operate. Given the right framework, self-regulation is perhaps better at getting the balance right to achieve investor confidence. Is Mediation A Good Alternative To Arbitration? 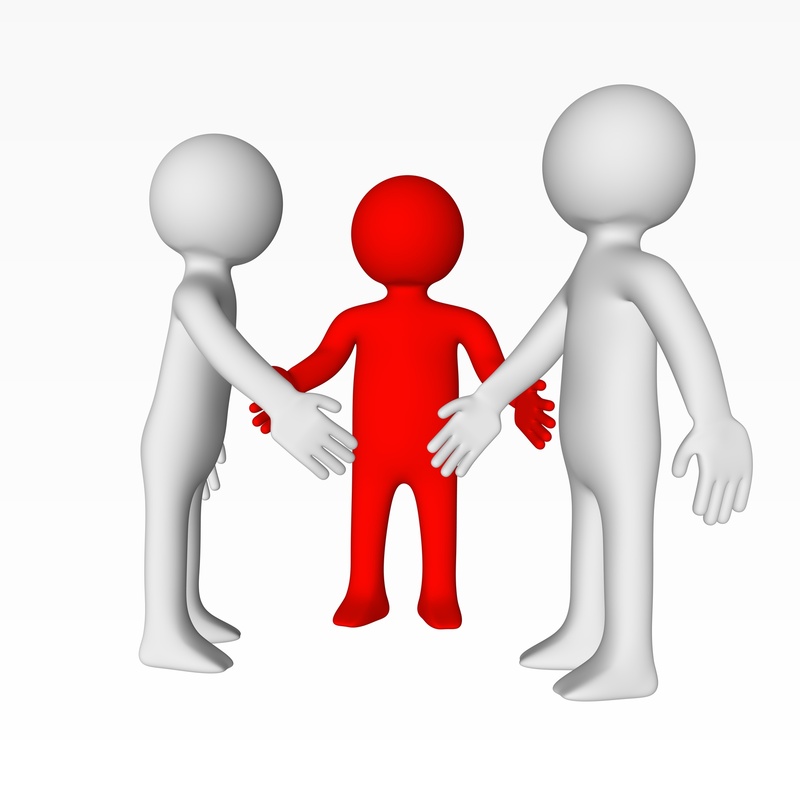 Mediation provides an alternative to arbitration utilizing an independent third party to facilitate agreement. 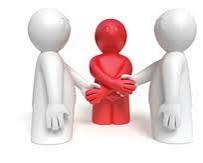 Conciliation may also be considered being similar to mediation but also allowing the third party to propose a solution(s). Arbitration represents one method of alternative (non-litigation) dispute resolution (ADR); others include mediation and conciliation. Each also provides a private method of dispute resolution and is consensual in nature. Mediation provides a means by which to resolve a dispute by utilizing an independent third party to facilitate agreement between the parties. 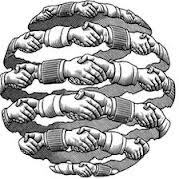 Conciliation is similar but also allows the third party to propose a solution which the parties may accept or reject. The outcomes from both mediation and conciliation must be recorded in a contract to then become binding on the parties. The benefits of mediation include, like arbitration, flexibility and control over the manner and process in which mediation is conducted. Mediation can (by agreement) be quite informal, quick and cost effective. A key benefit is the involvement of the parties in the outcome(s). As these will be developed by the parties themselves (with assistance from the third party), the outcome(s) is more likely to be a commercially focussed and more applicable to the situation. The outcome will be mutually agreeable to the parties based on a win-win (albeit with compromises from both parties) rather than win-lose outcome thereby leading to higher compliance by both parties having been negotiated rather than imposed. The process may also lead to alternative outcomes being identified and agreed. The main disadvantage of mediation is that there is no guarantee that the dispute will be resolved. Agreement and settlement of the dispute between the parties is voluntary and there is potential for the process to be exploited to prolong the dispute and as a means by which to defer arbitration or litigation proceedings. The decision as to whether to adopt a mediation process will be largely dictated by the nature of the dispute (i.e. is it capable of being resolved through discussion/negotiation) and the parties willingness to actively engage in the process. If neither is apparent then arbitration or litigation may be a more effective means by which to resolve the dispute. 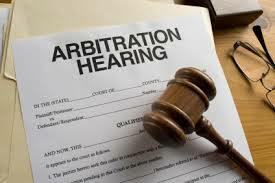 What Can I Do If An Arbitration Award Is Made Against Me? A final arbitration award is final and cannot be appealed in terms of its content. A losing party can challenge the award on limited, largely procedural grounds and within a very limited time. As a general rule, a final arbitration award is final and cannot be appealed in terms of its content. However, a losing party can challenge the award on limited, largely procedural grounds and within a very limited time. Such a challenge can be made either before or when the winning party seeks recognition and enforcement of the award through a court. In making such a challenge, the party can seek to have the award (a) nullified, (b) set aside (in whole or part), (c) varied or (d) remitted back to the Tribunal. UNCITRAL Model Law refers to such a challenge as having ‘recourse’ against an award. Article 34 of the Model Law sets out the grounds for setting aside an award prior to enforcement. Similar grounds are set out in Article 36 for challenging an award when the winning party seeks enforcement of the award through a court. These grounds are also set out in Article V of the New York Convention. These grounds cover jurisdictional and procedural issues and include (i) incapacity of a party to the arbitration agreement, (ii), inadequate notice of proceedings or a party is prevented from presenting their case, (iii) the decision exceeds the authority or scope of the dispute, (iv) irregularity in arbitral proceedings, (vi) the subject matter is not capable of settlement under the law of the State and (vi) the award is in conflict with the public policy of the State. An application for setting aside made under Article 34 must be made within 3 months from the date that the party receives the award or, in the case where an award has been corrected or request for interpretation addressed, then the 3 month time limit runs from the date upon which the Tribunal has disposed of the correction or interpretation. What Process Does An Arbitration Follow? The steps in the arbitration process, requirements and time periods for each will generally be determined by the rules of the arbitration body or institution. The parties to the dispute can make proposals in relation to the place, language and applicable law.for the conduct of the arbitration. To commence an arbitration, a party (Claimant) must submit a written Request for Arbitration (Request) to the appropriate arbitration body or institution. The institution’s rules will specify the required content for such a request which will include a description of the dispute and relief sought as well as party arbitrator nominations together with supporting papers required (eg copy of arbitration agreement). The Request may also include a Statement of Claim (Claim) together with proposals relating to place, language and applicable law. The Request must also be accompanied by the required registration fee otherwise the request will be deemed invalid. The date that the request is received usually determines the date upon which proceedings have commenced. On receipt of the Request, the institution will forward a copy to the Respondent. The Respondent will have a period of time (normally capable of extension) from receipt of the Request within which to submit an Answer to the Request (Answer) and may, at the same time, submit a Counter-claim. The institution’s rules will set out the required content for the Answer (including preliminary comments on the dispute and relief sought as well as arbitrator nominations). The Answer should also contain any objection to the validity of the arbitration agreement and comments on the Claimant’s proposals relating to place, language and applicable law. If the Request included a Claim then the Answer may be accompanied by a Statement of Defence (Defence). In addition, the Answer may also be accompanied by a Counter-claim (to include a description of the dispute and relief sought) and, if a Counter-claim is made, then this must be accompanied by the required registration fee to be valid. On receipt of the Answer, the institution will forward a copy to the Claimant who will be provided with the opportunity to comment on ‘objections or pleas’ made by the Respondent. Unless submitted with the Request, the Claimant will have a period of time from notification of establishment of the Tribunal to submit a Statement of Claim to the institution. The required content will be specified by the arbitrating body which will include a comprehensive statement of facts and legal arguments supporting the Claim together with relief sought. The Respondent will be required to submit a Statement of Defence within a specified period from receipt of the Statement of Claim or notification of establishment of the Tribunal. The required content will be specified by the arbitrating body which will include any Counter-claim. The Tribunal will have discretion to allow further written statements to be submitted allowing each party time to consider and respond to further arguments. If a Counter-claim is submitted by the Respondent, the Claimant will have a time period within which to respond. Either party may request that a hearing be held to enable oral arguments to be made and/or witness (including expert witness) evidence to be considered. An Arbitrator or Tribunal will close proceedings only when satisfied that the parties have had adequate opportunity to present submissions and evidence. The Arbitrator or Tribunal will be required to make its final Award within a specific time period from the date that the Arbitrator or Tribunal Chairman receives the file. The period may be extended by the Arbitrator/Tribunal or by the arbitrating institution. The parties may also agree to adjust the time limits for the Award. What Law and Rules Govern Arbitration Proceedings? UNCITRAL Model Law and Arbitration Rules provide an industry benchmark for the conduct of arbitration proceedings. Even where these are not fully adopted by an arbitration institution, ‘the Rules’ normally provide the starting point for individual institutional rules. The law and rules applicable to arbitration collectively govern the entire arbitration process and also provide the arbitrator(s) with the necessary powers to act. In both cases, these deal with procedural issues only. The UNCITRAL Model Law and Arbitration Rules (‘the Rules’) provide an industry benchmark and, even where not fully adopted by an institution managing an arbitration, these have been influential on the drafting of institutional rules. A set of rules provides the necessary structure and framework for the conduct of the arbitration for all steps from commencement of arbitral proceedings through to notification of the final award. Alternative Dispute Resolution (ADR): Arbitration Part I – What Is Arbitration? How does arbitration differ from going to court? Arbitration is a process by which parties seek to resolve a dispute by utilizing an independent third party to determine the case. It is a formal, binding process with outcomes enforceable in court. Arbitration is a private dispute resolution process where a dispute is resolved by an award made by an independent third party or tribunal panel following the presentation of statements and case material by each party. 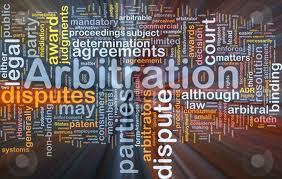 It is a formal process subject to rules and laws of arbitration (eg UNCITRAL). It is also a binding process, the outcome(s) being not only enforceable in courts of law but the parties cannot raise the same issue again in further proceedings. In many cases, enforceability is not limited territorially following the New York Convention. An arbitration award is final and may only be challenged (not appealed) on limited, largely procedural, grounds and within a very limited time. However, an arbitration award is not self-enforcing. It requires either the losing party to comply with the decision voluntarily or the winning party to apply to a court for enforcement. Arbitration is a consensual process chosen by the parties as a means by which to resolve disputes. Agreement to arbitrate disputes must be provided for in writing and is normally included within the business contract between the parties. This should state the appointing authority, tribunal composition, place, language and rules to be applied to regulate the conduct of the arbitration. A key difference between arbitration and litigation lies in the parties’ ability to control and manage many aspects of the arbitration process. This includes agreement on choice of arbitrator(s), time and place of hearings, language, method of presentation and nature of representation. The above enables the parties (by agreement) to tailor the arbitration to meet their requirements which can make arbitration a quick, flexible and cost effective (although legal aid is not available) method for resolving disputes. As a result, the outcomes from arbitration are also likely to be more predictable. By contrast to the above, litigation is non-consensual and, if adopted, the parties cannot choose the judge, hearing date, location or procedures to be followed. In addition, as court hearings are generally public, the parties cannot keep the dispute private. A party also cannot prevent the outcome from being appealed and, importantly, the parties are less able to control the costs of resolving the dispute. Unlike litigation, arbitration is a stand-alone process specific to the individual dispute. This means that an arbitration award does not form a precedent nor is an award decision required to follow any such precedent. Being private between the parties, another party cannot be joined into the process (as with litigation) unless both parties agree to this. Do I have to arbitrate rather than go to court? Most modern contracts now include arbitration provisions. Under UNCITRAL Model Law, a court may only hear the matter if it finds that the arbitration agreement is ‘null and void, inoperative or incapable of being performed’. A national court is also limited in terms of its involvement or intervention with the arbitration process (referred to as ‘exclusion of national courts’). Where an arbitration agreement is in place, the court must not hear any matter that is capable of being determined by arbitration (arbitrable dispute). If a party to an arbitration agreement commences legal proceedings on an arbitrable dispute then the other party may apply to the court to order the parties to deal with the matter by arbitration. RICS – what is it all about? The RICS (Royal Institution of Chartered Surveyors) is the world’s leading professional body for regulation and setting standards for the land, property and construction industry. The RICS (www.rics.org) has more than 100,000 members operating in almost 150 countries. There are also some 500 RICS accredited university degree courses with currently over 34,000 students to ensure that membership remains strong in the future. Members are known as Chartered Surveyors, recognised by the designation after their name – FRICS (Fellow) or MRICS (Member). The RICS can trace its history as far back as 1792 when the Surveyors Club was formed in London. In its current form, the RICS was created in 1868 in the United Kingdom receiving a Royal Charter in 1881. The RICS represents the oldest and most established professional body in the field of land, property and construction in the world. As an independent organisation, the RICS acts in the public interest setting and regulating the highest standards of competence and integrity amongst its members and providing impartial, authoritative advice on key real estate issues for business, society and governments worldwide. RICS members specialise in all matters across the property lifecycle – from development and construction advice to valuation of assets and investments, from project management to property management and dispute resolution services across all aspects of land, property and construction – in total, there are more than 160 specialisms! Today, the RICS has more than 100,000 members globally, with the majority of new membership growth being outside the UK. The RICS works closely with other professional organisations around the globe to promote professional standards and has a network of offices (with over 500 staff) reaching across the world’s major and emerging economies to support the delivery of its objectives. The focus of the RICS as an organisation is firmly set on professional standards. RICS practice standards and codes of practice are internationally renowned and regarded as a true mark of quality – a valuable asset that demonstrates to clients and the market that the advice provided adheres to the highest standards in the world. Globally, financial institutions, corporations and governments depend on the consistent and reliable level of expertise and advice on real estate that qualified RICS members provide. The RICS publishes over 500 industry research and policy papers every year – leading real estate thinking globally. Members have access to the world’s largest online property, land and surveying library together with professional guidance and market-leading survey information. The RICS seeks to influence governments, international organisations and key stakeholder groups around the world with the aim of developing and embedding truly international standards and creating a vibrant and sustainable land, property and construction sector. As people, governments, banks and commercial organisations continue to demand more assurance of certified standards and ethics, attaining RICS status is the most highly regarded and recognised mark of property professionalism. Why did I decide to join the RICS? The RICS designation means that you are a member of the world’s pre-eminent professional organisation in real estate. By qualification, it is clear evidence that you have achieved high standards of competence and ethics in your chosen career. This provides an international passport opening doors to business, networking and career opportunities globally. An RICS qualification provides me with unrivalled credibility and status in the market and, at the same time, provides confidence to my clients and business partners. I carry a valuable designation after my name (FRICS); a mark that is both globally recognised and highly valued throughout the land, property and construction industry. Mediation is a voluntary, non-binding, private dispute resolution process. Mediation provides a means by which parties may seek to resolve a dispute by utilizing an independent third party to facilitate agreement. It differs from both litigation and arbitration in that the mediator is not appointed to make a judgement but to assist the parties in reaching a settlement to the dispute that is satisfactory to both/all. To be successful, the parties to the dispute must firstly agree to mediate and then participate in the process. provide the parties with the freedom to explore opportunities to resolve the dispute without risk. Parties may disclose information, express views and suggest both concessions and potential settlement frameworks to the mediator safe in the knowledge that this will not be declared to the other party unless express consent is given. Where the doctrine of “without prejudice” (common law jurisdiction) applies, this principle will also apply to the mediation process. This means that if settlement is not reached and the matter is taken to litigation then the parties will not be precluded from arguing a different position in court from that taken during the mediation process. It facilitates settlement based on the needs of the parties rather than their legal and/or contractual rights enabling solutions to be found which would not be available through the courts. Mediation also has the added benefit of not creating any precedent. Essentially, the mediation process empowers the parties to a dispute. Unlike litigation (or arbitration) the outcome will not be imposed but agreed by the parties. This ownership and responsibility for settlement means that the outcome is more likely to be accepted by both parties enabling them to ‘move on’ from the dispute. In many cases, the introduction of the mediator as a neutral third party in itself provides the necessary energy to act as a catalyst for settlement. After each party has presented their case in open forum separate, private discussions between the mediator and each party will identify opportunities for resolution which hopefully lead to an amicable settlement that can be captured in a legally binding Settlement Agreement. Mediation is not appropriate for all disputes. For example, if the nature of the dispute relates to a point of law then mediation would not assist the resolution of the matter. Mediation can also be seen as an additional, rather than alternative, dispute resolution procedure – with associated additional costs – where a satisfactory resolution is not achieved and the matter must still be taken to court. In addition, if a party fails to follow through on their obligations set out in the Settlement Agreement then the other party will need to seek enforcement through the courts. Mediation, as a commercial dispute resolution process, also requires the right culture and business environment to be successful.